B U B B L E G A R M: Clothes shopping + 1 lipgloss! Clothes shopping + 1 lipgloss! I had to sneak in one makeup item! 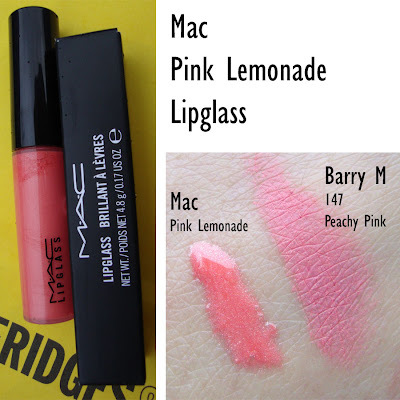 I purchased 'Pink Lemonade' lipglass by Mac. It's a milky but a tiny bit fluorescent at the same time peachy coral / pink colour. The colour reminds me of Barry M's 147 peachy pink lipstick. See swatches below! What did you get from the sales? I have those boots in black! 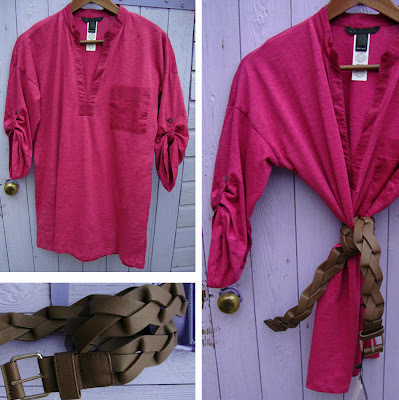 I like the clutch and belt. My sales buys are on my blog. Ahhh Gotta love MAC- I am obsessed with makeup- and I keep telling myself I'm not buying anymore until I use up three items...BAH yeah right. Great haul. Love all of it. I went to Westfield on Sunday to check out all the sales, but it was HORRIBLY crowded, so I couldn't bother buying anything. 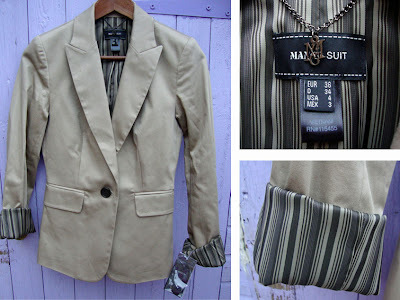 Love the beige cotton jacket..there's nothing like good fitting blazer to complete a look! Mmm Pink Lemonade looks gorgeous!! I love Pink Lemonade..it's my fave MAC gloss ever! Amazing finds! I love everything you got! Oh, and Pink Lemonade will look gorgeous on you! I have it but it doesn't work wonders on me since I'm so pale. great loot!!!! love it all but love love love the boots!!! Pink lemonade is my go-to summer gloss. It's perfect for a lot of tanner skintones!